What is Med - Pay? What is Med Pay (Medical Payments) ? Med Pay is a part of your auto insurance policy that pays any medical bills following an auto related accident. Med-Pay covers any accident in which a vehicle is related (i.e. pedestrian hit by car, bike rider hit by car) it also covers any passengers in your vehicle. Each individual in the vehicle is entitled to the entire amount of med pay on the policy (minimum $5000.00 per person). Colorado law states that every insurance plan covers at least $5000.00 of med-pay unless the insured signs away their medical payments benefits, which we would not recommend. Many auto insurance companies will try to persuade you to sign away these benefits to help reduce your monthly premium and by telling you that your health insurance will cover you if you are in an accident. It is true that you can slightly reduce your premium ($10-$30 per year) but the difference is negligible when you consider the costs of deductibles, co-pays, and co-insurance if you were to rely solely on your health insurance. How much med pay should I have? Everyone’s monetary situation is different, so go with what you can afford, but we would recommend having $10,000 as a minimum. Medical bills following an accident can become very costly especially if you have to be taken to the ER by ambulance following an accident. The ambulance ride and emergency room visit alone can go through $5000.00 very quickly. With $10,000 in medical payments you will hopefully have enough for the follow up care you need after your emergency visit. Does my med pay get deducted from my settlement? No. Medical payments are payments made by your own insurance regardless of who is at fault. Med – Pay is part of the services that you pay for with your premium and cannot be reimbursed back to your insurance company out of any future settlement you may have. Why do I need medical payments? First, it will cover more care options than your health insurance (chiropractic, hospital, massage, office visits, emergency room) and does not have co-pays, deductibles, or coinsurance costs. Second, med pay is available immediately which allows you to get access to treatment as soon as possible and with no out of pocket cost following your accident. This is important because getting an exam and treatment early significantly increases your chances of healing. It also ensures that all of your injuries are documented in the event that future litigation is needed. 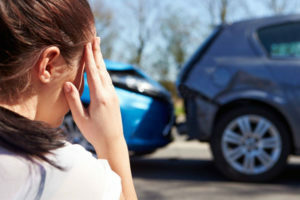 If you need an attorney after your accident Comprehensive Chiropractic can recommend a reputable personal injury attorney in the Denver metro area. Our doctors have personally met and worked with these attorneys and can attest that they will be of the highest standard. I have health insurance, why do I need med pay? It differs from health insurance in that there is no deductible or co-pay and you can choose your own doctor. Med-pay may be used for medical services such as chiropractic, pain management, massage, hospital bills, ambulance, etc. Who is covered by Med Pay? Medical Payments will cover anyone involved in an accident with an automobile. So that could mean you were in an auto accident with another vehicle, could be a pedestrian or bicycle that was struck by a vehicle, or you may have hit a stationary object like a wall or median while in your vehicle. Med pay will also cover everyone in the vehicle at the time of the accident. Can I use medical payments if I was at fault in the auto accident? If you are the at fault driver in an auto accident you can still use your med pay. This is one of the great benefits of medical payments. In an auto accident someone is usually at fault but they will still need care and may have many medical expenses. Without med pay your health insurance would be used and your coverage would be based on the policy you have. You would be responsible for any deductibles, co-pays, and co-insurance. Can my chiropractor bill my med pay? Yes, at Comprehensive Chiropractic we are able to make your med pay last to ensure you get the care you need. We treat the all the components of your injuries and work in conjunction with only the best providers in the area we get you out of the acute phase and get you feeling better faster.